After weeks of beating around the bush, President Donald Trump has officially endorsed Roy Moore in the Alabama Senate race. And, following the president’s decision, on December 4th the Republican National Committee announced that it supports Moore as well, despite national Republicans’ previous boycott of the nominee. Moore has been accused of making sexual advances toward teenage girls when he was in his 30s. He has denied these accusations. In November, following the allegations, prominent Republicans including Senate majority leader Mitch McConnell called for Moore to end his campaign and said they would not support him. Senators had also said that Moore would immediately face an Ethics Committee investigation if elected. And Senator Cory Gardner, the chairman of the RNC’s campaign arm, took it a step farther by saying that if Moore is elected, the Senate should immediately fire him. But McConnell recently softened his stance on Moore’s campaign, saying on December 3rd that the voters in Alabama should “make the call” in the upcoming election. Trump endorsed Moore on Monday, December 4th, tweeting his support and then later calling the candidate to make his approval official. “Democrats refusal to give even one vote to massive Tax Cuts is why we need Republican Roy Moore to win in Alabama,” he wrote. After Trump’s endorsement, The Hill reported that Republican officials had said the RNC would resume its funding of Moore’s Senate campaign. 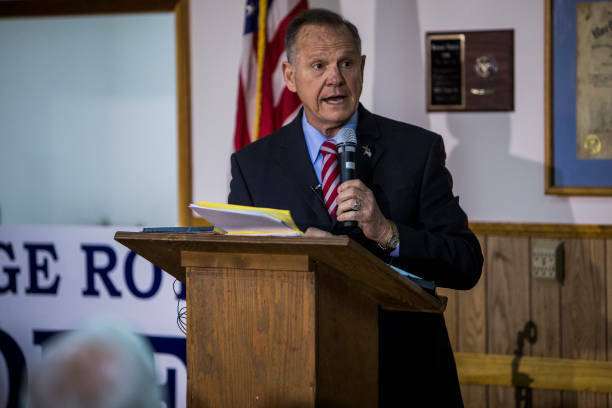 The committee and its campaign arm had announced in November that it would not help fund Moore’s campaign. The announcement that the RNC is supporting Roy Moore seems contradictory to what Republican Senators initially said following the accusations against Moore. And the committee’s funding could make a big difference in the election. A poll on December 2nd showed that Moore was behind his opponent Doug Jones by a slim three-point margin, but it also revealed that only about a third of voters believe Moore’s accusers. In such a tight race, the RNC’s money could go a long way in persuading undecided voters to choose Moore. There are ways to protest if Moore does get elected, but for now we’re hoping it won’t come to that. No one accused of sexual misconduct should serve in our government, and we’re disappointed that Republican senators are funding someone who is facing these allegations.